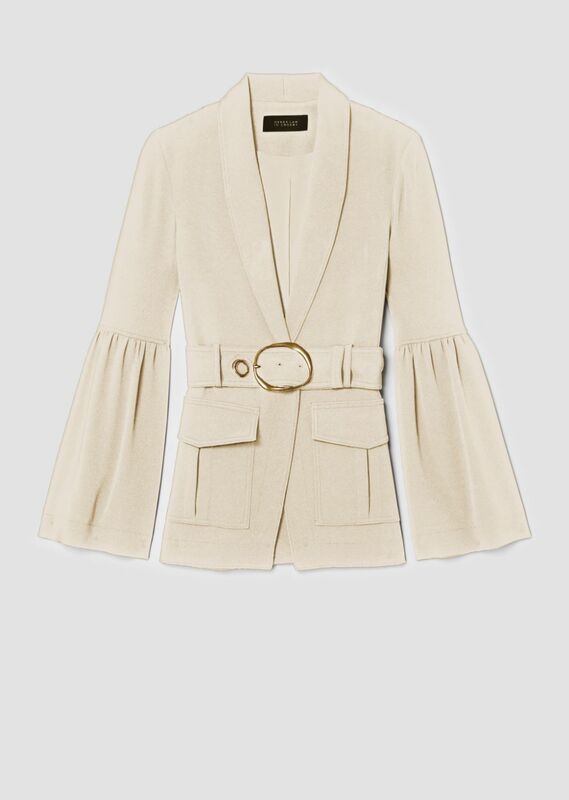 Relaxed shawl lapel blazer in fluid crepe with tonal self belt and gathered bell sleeves. 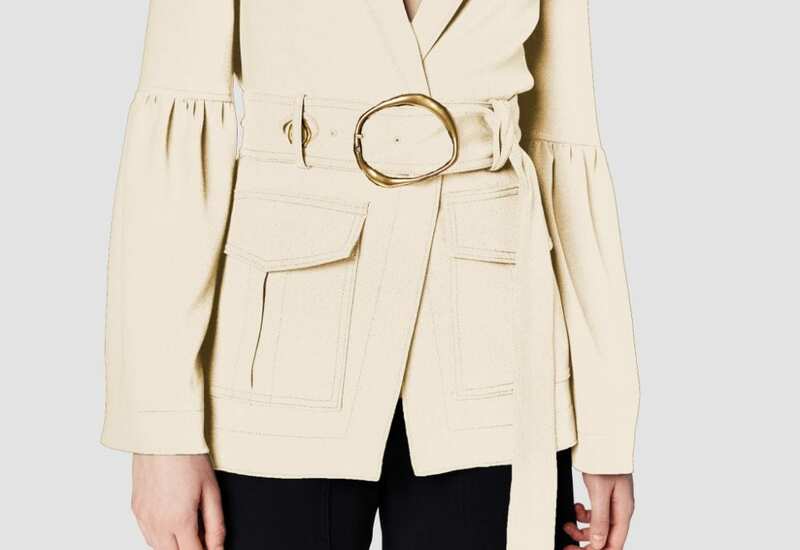 Belt fastens with large gold-tone metal buckle at tonal fabric belt loops. Flap front pockets. 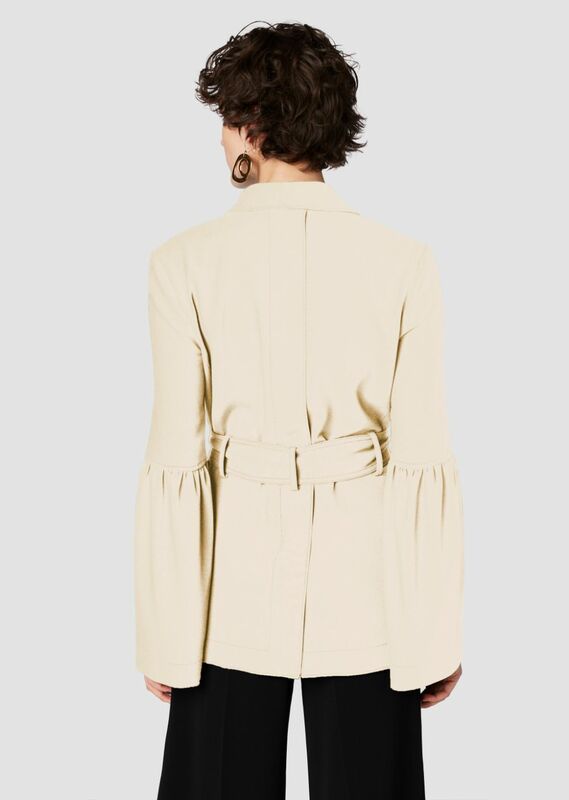 Vented back hem. Lined.